The diamond is not only a gem that every women desire to have. It is also known as the hardest stone on earth. It is derived from the Greek word “adamas” which means “unbreakable” or “invincible”. Being the hardest stone, diamonds are considered as one of the most important mineral resources. A large trade of diamonds in the marketing industry exists, wherein diamonds are being used as a tool in electronics, advertising, and jewelry. The value of diamonds is much higher compared to other stones due to its exclusive properties, which are, until now, is trying to be discovered by science. 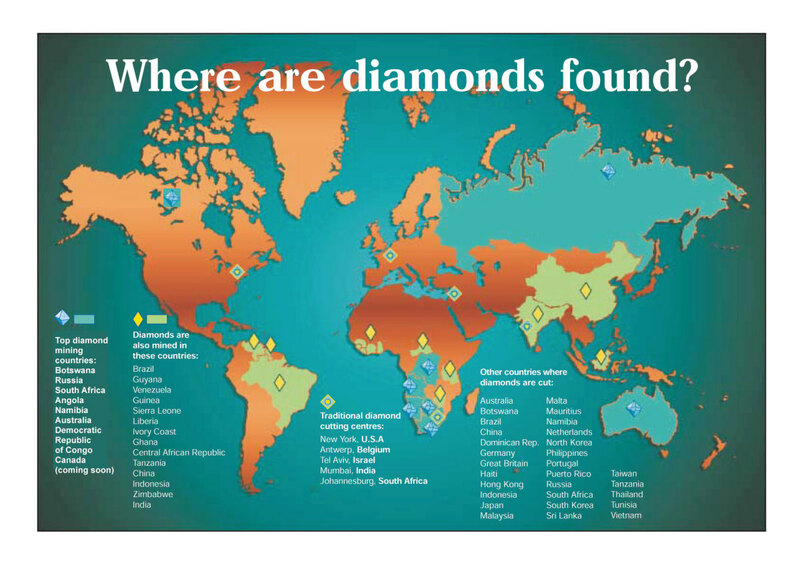 But some of the researchers found out that diamonds are not only useful to us today, but it played an important role in the world’s history. From the royal crowns that the kings and queens possessed, to the prestigious tombs and palace, we possess these remarkable jewels over a long period of time, and we have been passing the extraordinary value that a single diamond can have. Before a diamond can reach our hands and hang in our necks and ears, it was first touched by many craftsmen with high skills and expertise and probably passed onto many countries for the completion of creating a single gem. Diamonds were first discovered in India over 2,800 years ago, along the rivers of Penner, Krishna, and Godavari. 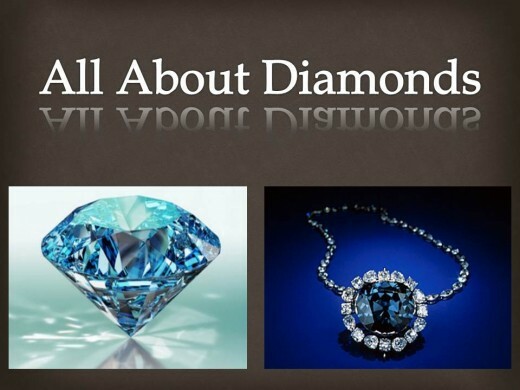 Just like gold, diamonds were mined and industry for the production of diamond gems was created. During the late years, it was first valued for their ability to refract light, since it has a high thermal conductivity that can cut a glass, such as quartz. 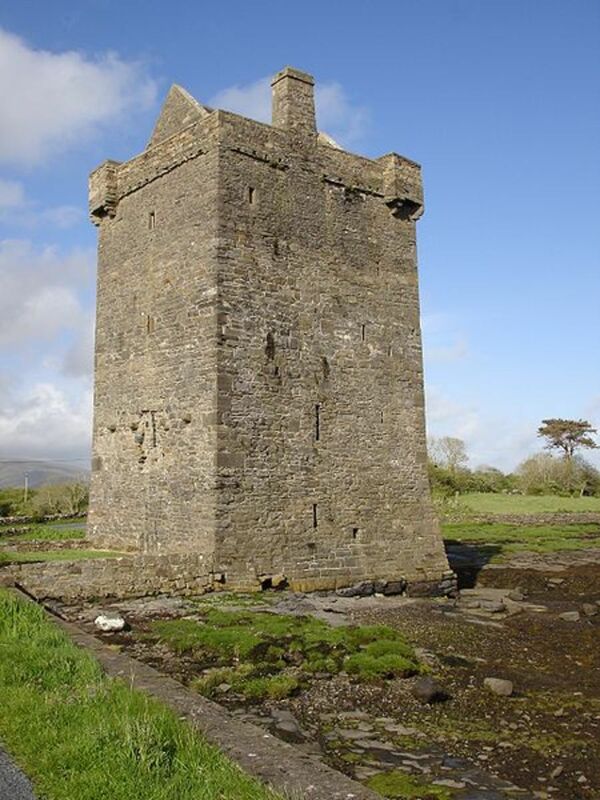 Later on, it was used for decorative and ornamental purposes and talisman as a protection to battle. It is also used as gemstones to India’s religious icons and as an engraving tool to early human history. 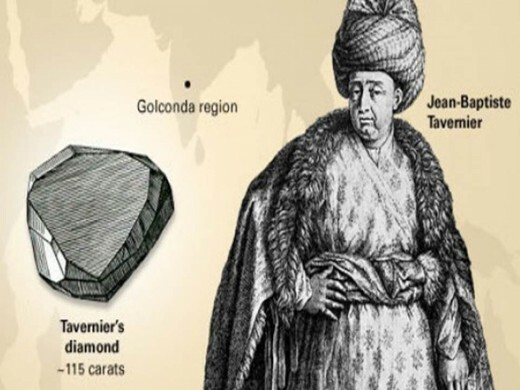 After the discovery in India, researches of Antoine Lavoisier (1772) showed that diamond is composed of carbon. His experiment using the lens and the rays of the sun on a diamond showed that the product of combustion was only carbon dioxide. Later on, Smithson Tennant (1797) conducted a same experiment as Lavoisier did, and he got the same result, proving that the early experiment of Lavoisier was true. During the middle ages, diamonds became popular and people’s attention was draw on the worth and value of diamonds rather than the other factors that should be considered (color, shape, size, etc.). The popularity of diamonds and the public awareness of the people lead to the creation of myths and stories regarding diamonds. One myth said that diamonds are poisonous because it was once protected by snakes. Some myths like the curses of the diamonds from the real owner became popular, mostly to common people. Even the discovery of the world’s most popular diamond, the Hope Diamond, was known for some curse controversy that it brings misfortune to whoever who own or wear it. The popularity of diamonds made the miners to swallow the diamonds in an attempt to smuggle them out of the mining area. "Heart of the Ocean" and "Koh-i-Noor"
Until the 15th century, diamonds became an ornament to the late king and queen’s crowns and jewels, especially in Europe. This symbolizes strength and royalty. Queen Elizabeth II’s crown jewel was known to be made by 2,868 diamonds, 273 pearls, 17 sapphires, 11 emeralds, and 5 rubies. Another notable diamond was King Louis XIV’s “Heart of the Ocean”, a blue heart-shaped diamond that was featured on the 1997 film, Titanic. Koh-i-Noor, the biggest diamond ever known, became an ornament to the crown of India’s kings and was brought to Europe and was included to the crown jewels. Diamonds aren’t only for decoration and ornaments; it contributed and played a role in history that most of the people do not know. The most notorious assassination in the history of Russia, the murder of the Romanov family, indicates an important property of diamond. On July 17, 1918, the royal family of Romanov was told to be photographed to show to the people that they were still alive, after receiving their house arrest at Alexander’s Palace. The family members were arranged appropriately and left alone for several minutes. The killers, known to be as the Bolshevik troops, walked inside and immediately started shooting. 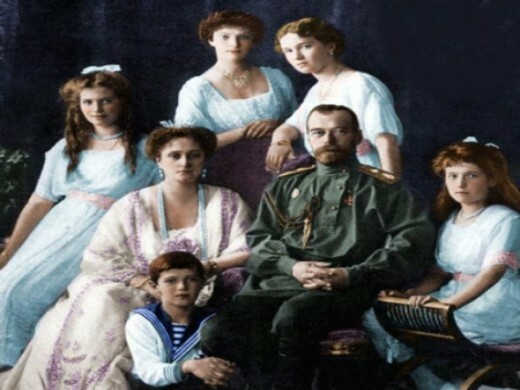 The parents, including Nicholas II, died instantly after being shot by the killers, but the three daughters did not die immediately after the first shots. The killers tried to stab them with bayonets but were also failed. The killers then shot the girls in the head, which lead to their death. The mystery of the girls not being died during the first shot was solved after several years. This was because of the diamonds sewn into their corsets and the dress filled with diamonds that protected them from the bullets and bayonet. The extreme hard property of the diamond made the bullet bounce back and protected the girls from getting stabbed by the bayonet. In 2007, the National Geographic Team investigates the history of the royal family’s death and made a re-enactment of the scenario. They shot the mannequin wearing a dress filled with diamonds and found out that the hard property of diamond is enough to prevent the bullets. Diamonds are popular in history; they are included in Napoleon Bonaparte’s sword, Empress Eugenie’s crown, Queen Victoria’s jewels, and a famous collection of Queen Elizabeth. Even in the Philippines, diamonds became a hot issue due to the former first lady, Imelda Marcos’ jewel collections called “Roumeliotes” which includes several diamond gems, including the Diamond Necklace by Buccellati with 93 carats and the diamond and blue sapphire brooch, which was sold in 2005. On October 2, 1979, the Argyle pipe was found near Lake Argyle, Australia and it was considered as the richest deposit of diamond. 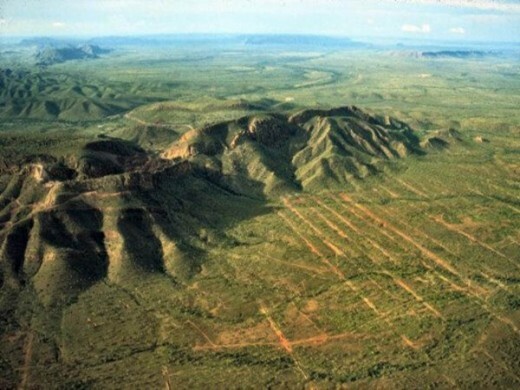 Since then, Argyle has become the world’s largest producer of diamonds (produces over a third of the world’s diamonds every year), followed by Zaire, Botswana, Russia, South Africa, Namibia, Angola, and Brazil. Over the centuries, however, diamond acquired its symbol of “ultimate gift of love” and can be seen in engagement and wedding rings, necklaces, and bracelets, which are usually given to couples. It started during the 1477 when Archduke Maximilian proposed to his fiancée, Mary of Burgundy using a diamond ring. Today, the production for diamond jewelries is huge, as to many of the jewelry stores are available. But not only as a gemstone, it is also used in electronics and in industry. Small amounts of diamonds can be very useful as cover openings in lasers and x-rays, heat sinks (due to its thermal conductivity), and speaker domes (it can bounce off vibration rapidly without affecting the sound). Due to the advancement of technology, science has invented a lot of gadgets and appliances to improve our lives, and one of the things that science has developed is the usage of diamonds and its application to industry. Diamond production has increased enormously in the 20th century and is being used not only for gemstone purposes, but also for technology. In 2012, “Diamond Technology” has been invented, developing the three primary roles of diamond in our industry. First, it serves as a cutting tool; then an abrasive when it’s attached to another material; and also a grinder and polisher when it is transformed into powder. It is also used to shape products like polygon mirrors, drums by photocopiers, and pistons in aluminum alloys. It is also an important tool in designing concrete, eyeglasses, computer chips, ceramics, stones, and even other gems. They are also used in blades, critical surgery, heat spreaders, and specialty windows. It can also utilize when machining the plastics, glasses, and metals, except to iron. Scientists in California have used an available commercial technology to pattern large-sheets of diamonds with tiny, nitrogen holes as component to supercomputers. 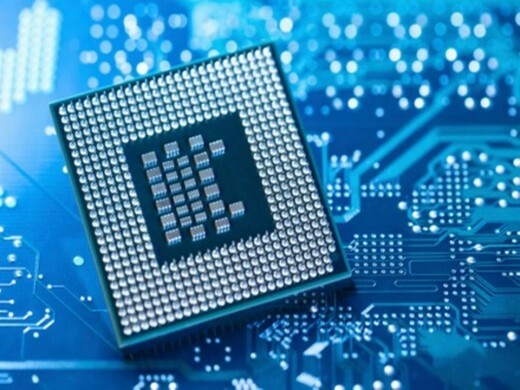 They have been also using diamonds to microchips and memory cards for large capacity and storage. The quality and value of diamonds are measured by the four characteristics, known as the 4C’s: cut, color, clarity, and carat. This refers to the quality of workmanship of a diamond. It mostly refers to the smoothness and shape that affects its geometric appearance, style, and luster. A diamond that is perfectly polished is highly reflective, and therefore more valuable. A rough diamond means that it is the original diamond and does not undergo any process for polishing. High-quality diamonds range from colorless to yellow. The ones sold for the highest prices are the most reflective, colorless. Some diamonds that appears to have colors like pink, blue, and yellow are called “fancy diamonds”. They are less expensive than the colorless diamonds. The defects, roughness, and imperfections affect the value of a diamond. There should be no internal graining inside the gem to maintain its high value. The clearer the gem, the more expensive it gets because it shows the hardness. Diamond is graded 10 as the hardest on the Moh’s scale of mineral hardness, which means, the clearer the gem, the harder it is. This refers to the weight of a diamond. They are priced according to their weight value. 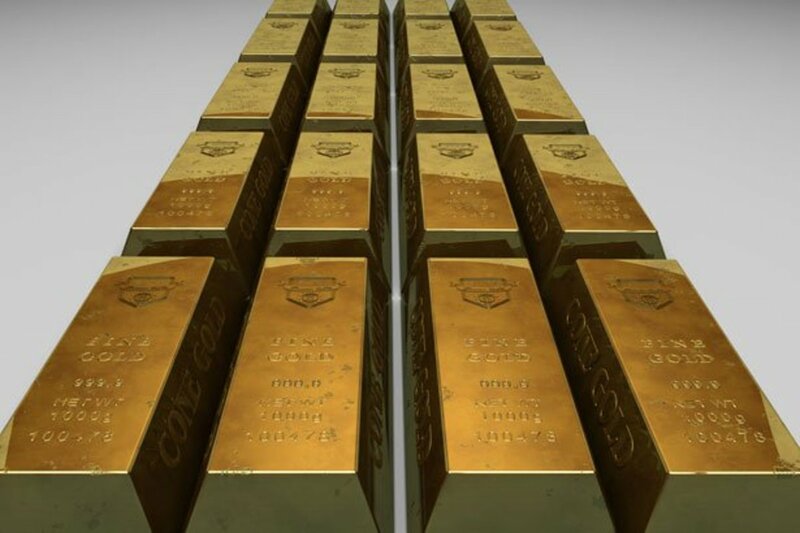 But this does not always mean that the heavier the diamond, the more expensive it gets. It depends on the other factors such as the color, clarity, and cut and to the symbol it brings. The essence, value, and worth of a diamond are passed from the ancient times down to the modern years. Its properties had already proven us the secret of its value. 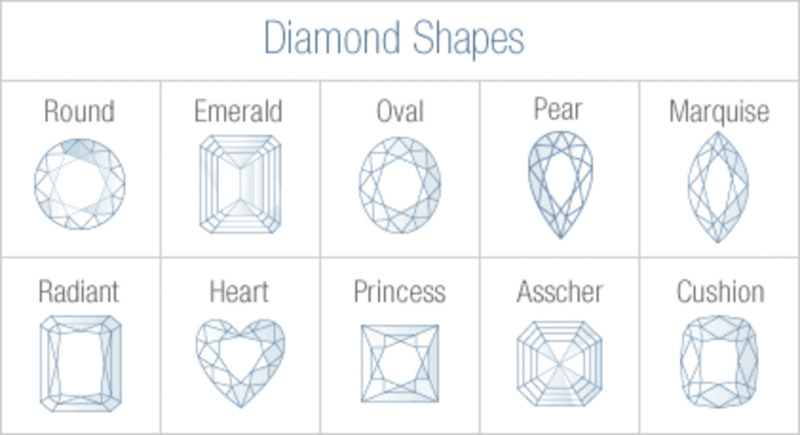 These properties are enough reasons for these precious gems to be really expensive, since no other thing can surpass the characteristics that a diamond have.